Charles Hauboldt, a Texas funeral home owner, wants nothing more than to see his Houston Texans bury the Baltimore Ravens’ Super Bowl drive at this Sunday’s big game at M&T Bank Stadium. He’ll get his chance as the winning bidder for a playoff ticket auctioned by a Texas Catholic priest and rabid Ravens’ fan. Hauboldt’s high bid of $2,115 won him the ticket, a flight to Baltimore, lodging and ground transportation – not to mention the chance to sit next to Trinitarian Father Stan DeBoe, the man who put the ticket up for grabs. The money will be used to help purchase a bus for Father DeBoe’s parish, Our Lady of Sorrows in Victoria, Texas. Father DeBoe, whose parishioners often make use of Hauboldt’s funeral home, invited his friend to participate in the auction. The winner had to contend with some last-minute competing bids, but still came out on top. “Father Stan and I will have a blast,” Hauboldt said. Will there be any smack talk between them? 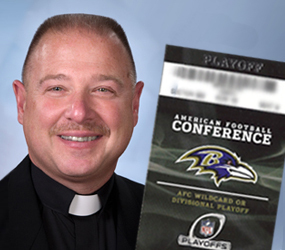 As reported yesterday on The Catholic Review’s website, Father DeBoe has been a Ravens season ticket holder since the team began playing in 1996. The Pittsburgh native caught Ravens fever while he was ministering in the Baltimore-Washington area and in residence at St. Lawrence, Jessup. The auction has been a great morale booster for his Texas parish, Father DeBoe said. He received a total of approximately 15 bids. Father DeBoe, who plans to attend Mass at the Catholic Community at Relay on game day, said he also received a call from the Baltimore Ravens. The priest heard from his bishop, who quipped that Father DeBoe’s departure to Baltimore “was the worst-kept secret getaway” he’d ever seen. Hauboldt, a Lutheran, said he wanted to help Father DeBoe’s church as a way of giving back to the community. 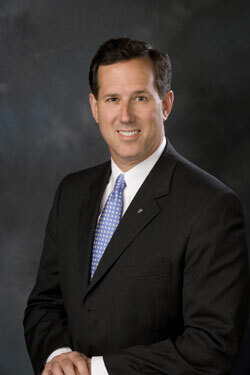 He also supports other Victoria-area churches. “It’s always good to support local community functions or charities,” he said. 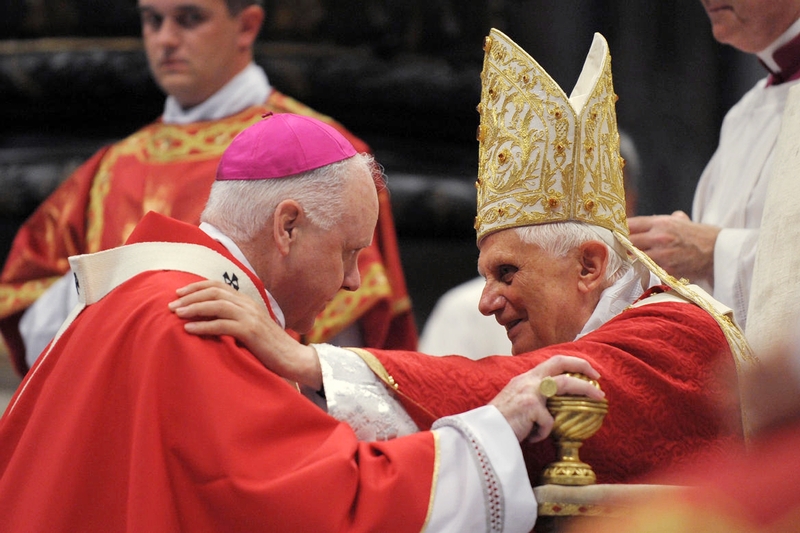 Pope Benedict XVI announced today that Archbishop Edwin F. O’Brien, apostolic administrator of the Archdiocese of Baltimore and pro-grand master of the Equestrian Order of the Holy Sepulcher of Jerusalem, will become a cardinal! Cardinal-designate O’Brien will be elevated at a consistory to be held at St. Peter’s Basilica in Rome on February 18. Check out The Catholic Review story here. Stay with The Catholic Review for more on this breaking story throughout the day! Two days after the world celebrated the birth of the Prince of Peace, things weren’t so peaceful at the Bethlehem church built on what is believed to be the site of Jesus’ nativity. 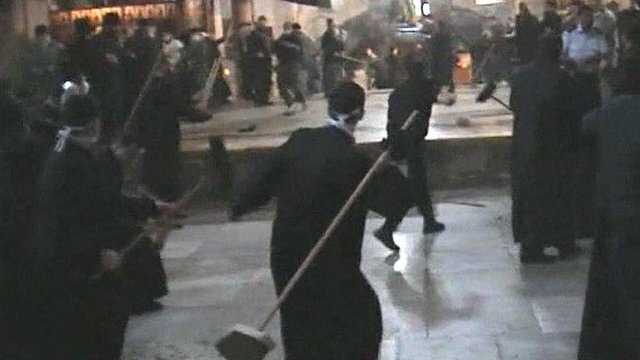 Brandishing brooms, 100 black-robed Greek Orthodox and Armenian clerics fought one another inside the Basilica of the Nativity after a dispute broke out during the cleaning of the church. Palestinian police broke up the fray. Tensions have long been high at the 1,700-year-old church, as different Christian denominations continually squabble over the administration of the holy site. The BBC has the story, along with the sad video here. Retired Washington Cardinal Theodore McCarrick recently sat down with David Gregory of Meet the Press to talk Christmas and politics. The cardinal noted that Christmas comes to “remind us that there is a God and this is a God who loves us.” He also asserted that the more a voter understands about the issues, the more he or she will understand a candidate. Check out the extended interview here.